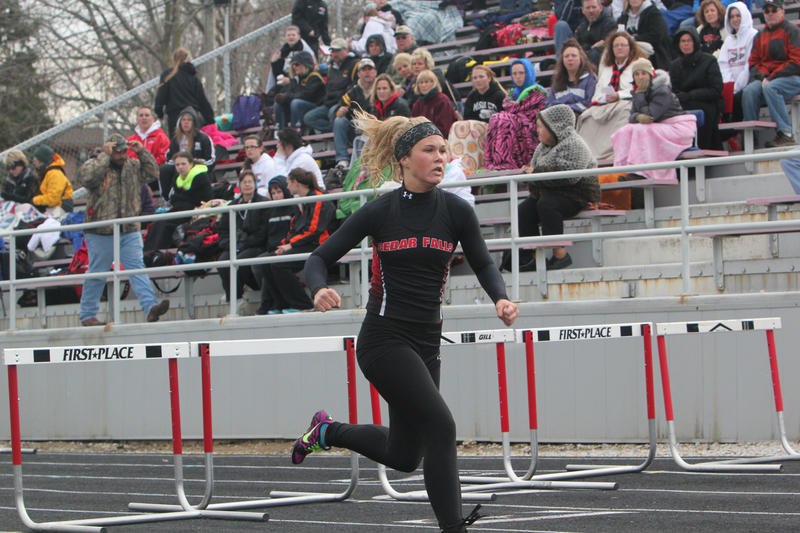 Senior Maddie Smith races through hurdles last year. Senior Maddie Smith is returning to track to help lead the Tigers to State. She has participated in the shuttle hurdle relay, 100 hurdles, 4×100 relay and the 4×300 relay. How long have you been running and how did you get into track? I have been running since seventh grade. I got into track in junior high because I liked to stay busy and try as many new things as I could. How did it feel to start the outdoor season with a win in the shuttle hurdle relays? It felt great knowing that the hard work we have been putting in is really paying off, and I am so excited to be running my senior season with this group of girls. What do you want to achieve as a team and individually this season? Our team goal this year would be to qualify in as many events as we can for the Drake Relays and the state meet. My personal goal would be to qualify and place at the Drake Relays and the state meet. Are you thinking about running in college at all? I will be running for the Central Dutch in Pella, Iowa, next year.